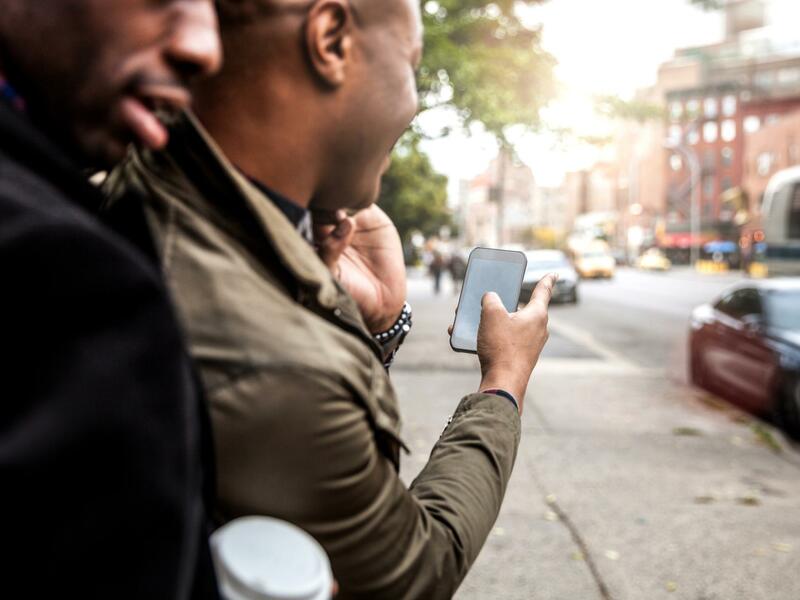 A study by researchers at MIT and the University of Washington found that black men in Boston were twice as likely to have their rides cancelled by Uber drivers. A few years ago, the Urban Institute undertook a massive experiment to measure discrimination in home rentals and sales. The researchers sent hundreds of people in dozens of cities across the country to act as applicants trying to rent or buy apartments and houses. The "testers" were given similar credit histories and financial qualifications. What the researchers they found was sobering: almost everywhere they tested, black folks, Latinos, and Asian Americans were shown significantly fewer homes than were white applicants, and they were less likely to be offered discounts on their rent. For some of the testers, the findings were disorienting. "[The super] was so nice to me," one tester, a black woman, told This American Life, after she learned how much better a white tester was later treated at the same building. "He wasn't throwing me a party, but he was cordial, and he wasn't rushing me out ... I was completely taken off guard." Even though that discrimination was happening right in front of her, it only became somewhat visible to the tester when she could step back far enough to see it. In this new study, as with the housing study, the results were disheartening. Black passengers in Seattle had to wait longer for drivers to pick them up. In both cities, women were taken on longer trips than men, driving the price of their fares up. People with "black-sounding" names were significantly more likely to have drivers cancel their trips before they arrived to pick them up. Black men were twice as likely to have their trips canceled. If those black men lived in less densely populated places like the suburbs — places where alternative transportation options are harder to come by — they were three times as likely to have their rides canceled. The researchers even noticed a kind of de facto cancellation. Because Uber penalizes drivers who cancel too many ride requests, some drivers would instead idle a distance away from the designated pickup spot — or drive in a completely different direction from it — increasing the wait time and forcing the waiting riders to cancel the request and maybe even incur a cancellation fee. It was discrimination by attrition. And as was the case in the rental study, the people on the receiving end of that discrimination would have no way of knowin it was happening. Don Mackenzie, one of the lead researchers on the study, told me that because there are plenty of valid reasons a driver might cancel a trip, it's virtually impossible to determine whether any individual trip was canceled because of a driver's bias. You could only see a pattern of bias against people in the aggregate. But that doesn't mean individual folks don't feel its consequences. Mackenzie, who is white, said that he could expect about 5 percent of his Boston trips on the ride-hailing apps to be canceled. Were he a black man coming from a suburban neighborhood near the city, he said, the rate would be about 15 percent. "It's the difference between pretty convenient and really kind of a pain," Mackenzie told me. "If your ride cancels on you 5 percent of the time, that's one of your morning commutes each month and maybe your boss can handle that. But if it's like once a week or a couple times every few weeks, that's something you're going to start building into your schedule. That's basically another form of the black tax, but it's not money, it's time." This is probably a useful way to think about discrimination generally: like a kind of drag that has to be constantly adjusted and calculated for. The irony here is that one of the major selling points of services like Uber and Lyft was that they allowed black folks to work around the frustration and low-level humiliation of being passed over by traditional cab drivers, a discriminatory practice that very much remains a thing. As part of this study, testers tried hailing cabs in Seattle from the curbside the old-fashioned way. McKenzie said that 60 percent of white people were picked up by the first taxi they hailed, while only 20 percent of black folks were. "When we started thinking about this project two years ago, a lot of the popular press and blogosphere conversation was, 'Well, this has really solved my hailing-while-black or taxiing-while-black problem,' " Mackenzie said. "Like, 'I can get a ride now.'" But the discrimination that was a feature of the older taxicab economy has ported over to the newer economy. And it's just as hard to stamp it out. Airbnb, which facilitates short-term home rentals, has been dogged by this question over the last year, as many black users — both hosts and those looking to rent as guests — reported that people were less likely to do business with them. (Our friends at Hidden Brain dedicated an entire episode to this, which you should check out.) Companies like Uber, Lyft, and Airbnb have maintained that they aren't transportation or hotel companies, really, but instead tech companies whose products help connect people to rides and housing. They don't employ their drivers or hosts, and so they don't oversee their activities. That set-up might make Uber, Lyft or Airbnb fleeter companies with lower overhead, but it's a big hurdle to policing discrimination among their users. After all, the discrimination users experience on Uber doesn't come from the company, but is the result of choices made by thousands of people using their own discretion. And though Lyft passengers with "black-sounding" names were picked up at the same rate as those with "white-sounding" names in the Boston tests, that probably had less to do with the relative open-mindedness of drivers and more to do with the app interfaces, the researchers said. It's only after Uber drivers accept a trip that they can see a rider's name. But Lyft drivers are given a name and photo at the time the trip is requested. So Lyft drivers could discriminate up front by simply deciding not to accept the trip at all. Talking this data out with Mackenzie made me think about the many times one of my Uber trips were cancelled — or I gave up on waiting for a driver and canceled them myself. Was it discrimination? I'm stepping back here and I can't say for sure. "You don't know, and that uncertainty for many people — in this case for black travelers in our study — means it's kind of beyond your control," Mackenzie said. "Whether it's your photo or your name, that's kind of who you are."